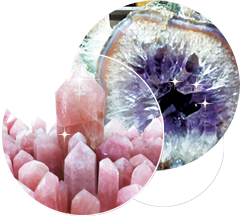 Welcome to Ithaca Crystals, we offer a wide variety of crystals, minerals and fossils – both popular and rare. Whether you like your stones polished, tumbled or carved, whether you’re looking for ammonites, or meteorites, citrine or amethyst, tumble stones or flat stones, clusters or points, crystal spheres or wands, candle holders or lamps, pendants, pendulums or polished eggs, we can meet your needs. As wholesalers, we only sell our products, at wholesale prices. If you are a retailer, practitioner, party plan seller, online store, market stall holder or eBay seller — Ithaca Crystals can provide you with quality crystals, minerals, rocks or Himalayan salt products at wholesale prices. Please note, we do not sell direct to public. All our crystals are carefully selected and they are at very reasonable prices. Our products are intended to help people on their journey through life. Ithaca is an opportunity, but as many wise persons have said, it is not the destination that matters, it is the journey. Come in and visit us at the warehouse, or place a mail order by phone, email or fax. Closed Christmas Day, Good Friday, Anzac Day (open after 1pm) The product photos used throughout the online catalogue, are representative only. They are not photos of the actual product you will receive. As many of our products are based on natural formations they will vary in shape, colour, texture, pattern and size. All stock is subject to availability. All pricing is subject to change and are GST inclusive. All orders are subject to verification processes.